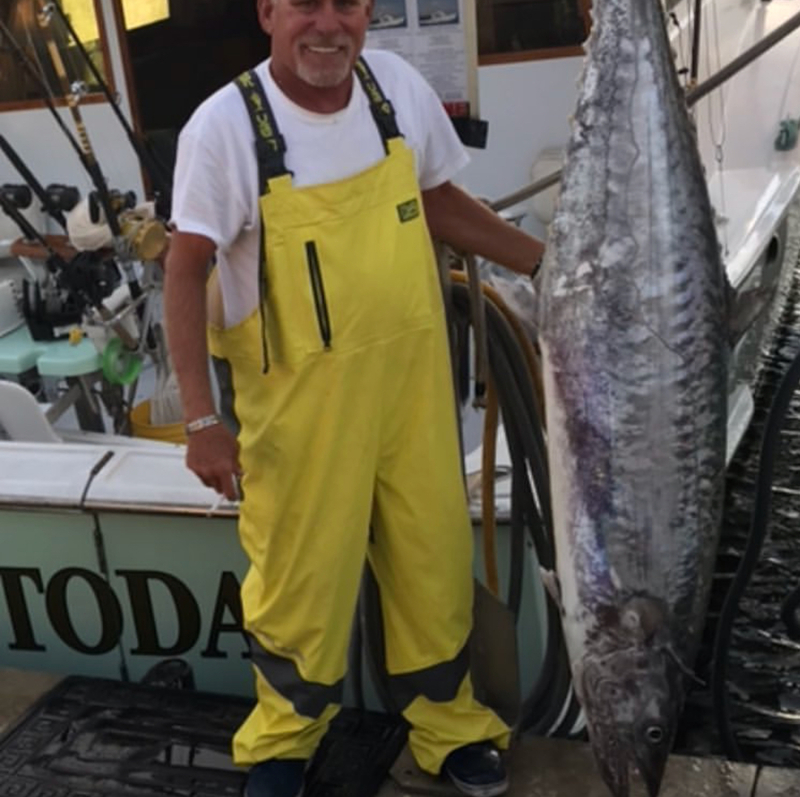 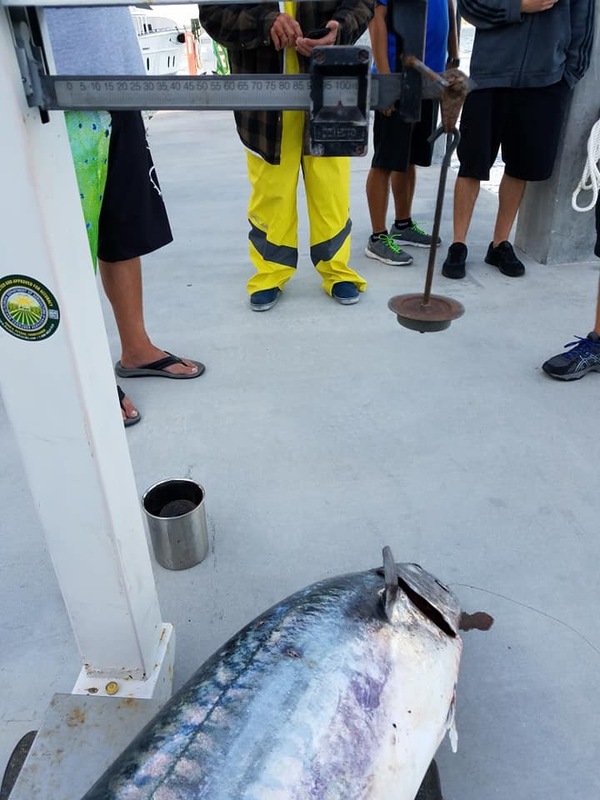 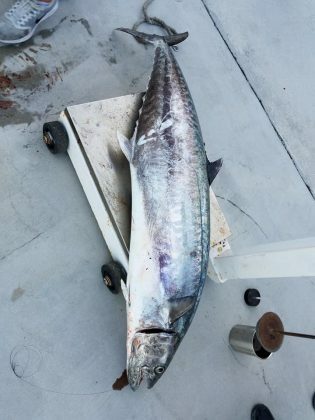 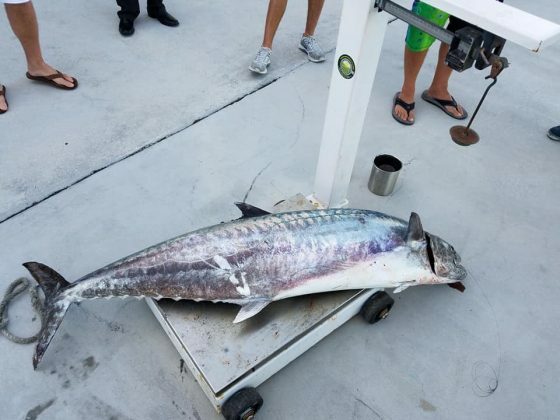 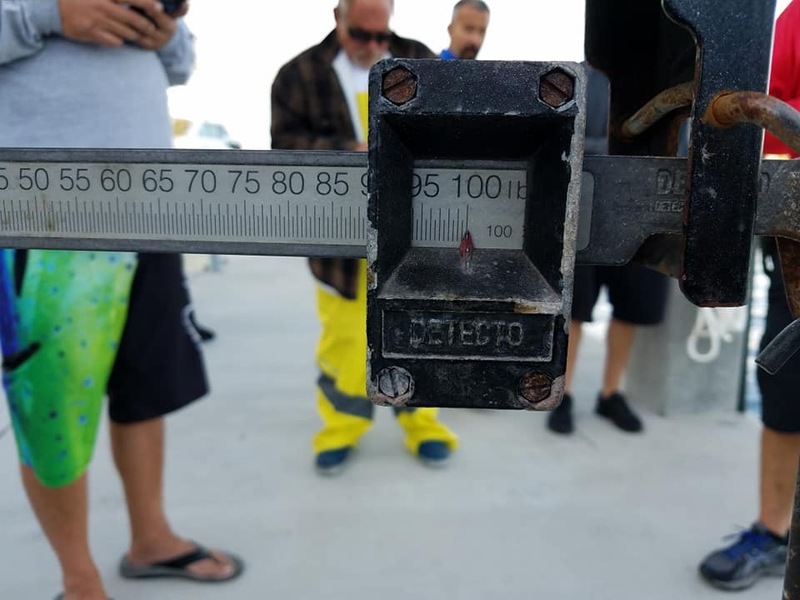 Reports (and pictures) are surfacing around the internet with information that a new world record King Mackerel was caught. Captain JB & Troy – Topshot Sportfishing out of Fort Lauderdale, FL. 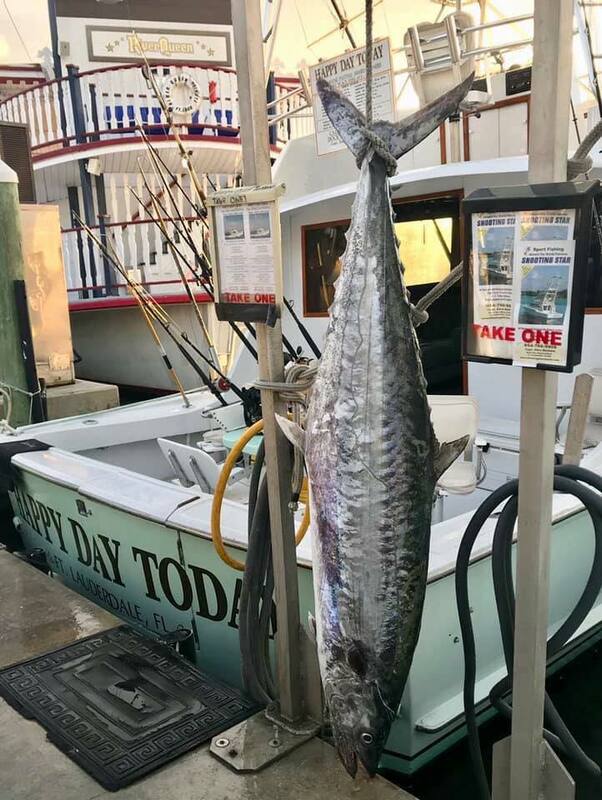 Two weights have been posted but Anglers Mike & Brook were on their Honeymoon and caught a 97.8 lb (also reported a 100.5 lb) King Mackerel on 40 lb test. Both weights break the current record set by Steve Graulau of 93 lbs in 1999 out of San Juan, PR. 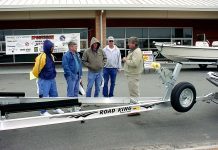 We will keep you posted on details as well get them. New image posted by The Mobile Big Game Fishing Club with the Caption - Potential world record king Mackerel 98.7 lbs on 30 lb test off Fort Lauderdale.